Published on December 30, 2012,	by admin in Adventure, The Great Outdoors. Just outside a desperate little town on the border between CA and Mexico there is a sign that announces the start of a 2600 mile footpath. The footpath, known as the Pacific Crest National Scenic Trail, traverses the entire western US from Mexico to Canada. Anyone that has hiked the AT can’t help but wonder what it would be like to tackle this monster. And so today I made my way to Campo CA, to set foot on the southern terminus of the PCT just for the fun of it. As I drove Interstate 8 over the pass through the Vallecito Mountains, the weather started to deteriorate. Dark clouds and spitting snow soon made driving unpleasant to say the least, and it wasn’t until I dropped down out of the mountains and the weather improved that I decided to continue on. I almost turned around and headed back to Arizona. The start of the PCT wasn’t too hard to find. There are very few roads in the area and no way to get too far south. 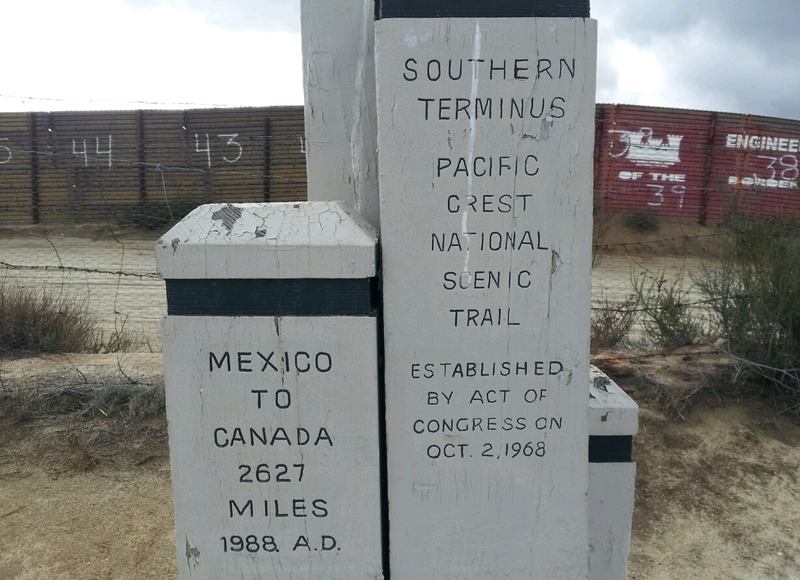 I eventually spotted a marker where the trail crossed the road and soon came to the ominous, corrugated border fence. It was a short walk up a hill to the PCT southern terminus marker where I took a few photos. I explored the area for some possible day hikes. The weather need to improve but there are several possibilities. For now I will move back to the desert and hope for better weather. I bet a lot of the PCT is quite a different experience than the AT, judging from the scenery in this picture. I remember when you started the AT, you were just going to see what it was like. Are you “just going to see what the PCT is like”? Now is not the time to start, of course. Snow will soon or already has closed the Sierra passes. I think I’d also be concerned about illegal border crossers in that area. As you and I have already discussed, the PCT is quite different from the AT. There are long stretches of wilderness with no opportunity to restock or call for help if there is an accident. 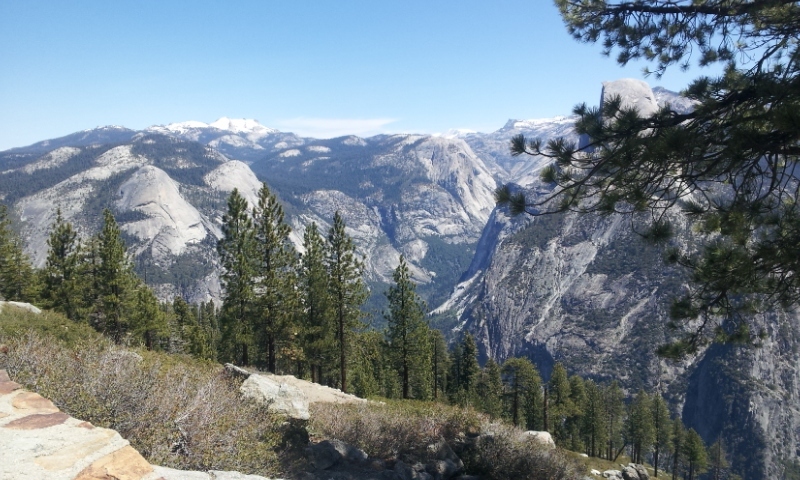 Maybe the John Muir trail, which includes part of the PCT, would be a good introduction to tackle first. And the altitude of the PCT would be a killer for me. I suppose you could get used to it, but it wouldn’t be fun. I’m glad you are out roaming again. Looking forward to reading about your next wilderness adventure! !